Forum - DOFUS: the strategic MMORPG. Everything you need to know about ongoing modifications and evolutions to the game. Everything you need to know about server status, maintenance hours, and the potential problems the game might encounter. This is a forum for new adventurers just beginning their DOFUS story. Please introduce yourself and don't be shy! You can ask our experienced players for advice and information about the game. Use this forum to discuss General topics about DOFUS. Please post technical problems in Problems and Solutions. Thanks! Discuss issues and news for your server. Buy and sell items, advertise a guild, connect with other players, or recruit for dungeon runs and hunting parties! Learn tips and tricks, share your knowledge, learn how to play the market. Forums dedicated to the classes of DOFUS. Share advice for equipment, and offer ideas for builds or spells. This section is where players help other players troubleshoot.Please use support.ankama.com to report bugs or seek account help. Discuss game modifications that are currently being tested. Find out everything there is to know about Ogrines. This section is linked directly to comments on the official Ogrines Blog. Info, tips, process, ideas... players help other players with the subscription process in this section. If you encounter problems while trying to subscribe, please contact support.ankama.com! Report any typos or spelling mistakes you find in-game here. General information regarding the beta testing of the Ask Ankama revival. What? Where? When? Who? Why? Huh? Ask your questions here! You can also upvote other players' questions you would like us to answer. Keep in mind that you won't be able to comment on other people's threads. Answered questions are in here! Use this forum to report bugs specific to this initiative. Give your opinion! This is a place to discuss the process, with the intention to make it better. In this forum, the Dofus Team shares experimental ideas for the future of the game. Warning, some of these demos may never see production, please wear all appropriate safety gear to protect your expectations. Do you have a suggestion for how Dofus can improve, or a remark you'd like to make about a game feature? The Suggestion Box is accepting your thoughts! On this forum, the members of the Zenith discuss game issues with the entire community. Only Zenith members can begin topics, but everyone can contribute. This forum is devoted to the creations of you, the players! Pictures, videos, music, animations, stories, all of these creations have a place here as long as it's linked to DOFUS! This forum is for role-players only. Here you can write your history, describe your adventures and develop your in-game personality, or interact with other players to create DOFUS stories together. Please use the language of the World of Twelve. This section is for promoting and discussing events run by our Volunteer Eventmasters (also known as GMs). Only Eventmasters can start new threads. Off-Topic posts that are of interest to the Dofus Community. Notice! This forum will not advance your post count! This forum has been set read-only for historical purposes. Please use the server forums in the Community section to advertise or search for guilds on the server of your choice! This forum has been set read-only for historical purposes. Please use the server markets in the Community section to buy and sell on your server of choice! This forum has been set read-only for historical purposes. Forum closed! There is now a New Heroic Forum! Backup of the subforums and messages from the forum sections of the servers that were merged into Echo. 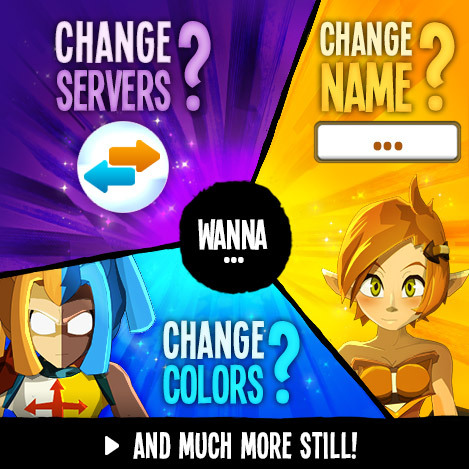 You can arrange to meet other players or the Ankama team (outside the game world) and talk about conventions, tournaments, or any other Dofus events in real life. You can give your opinion about mangas, artbooks, figurines, and other derivative products of the Dofus Universe.